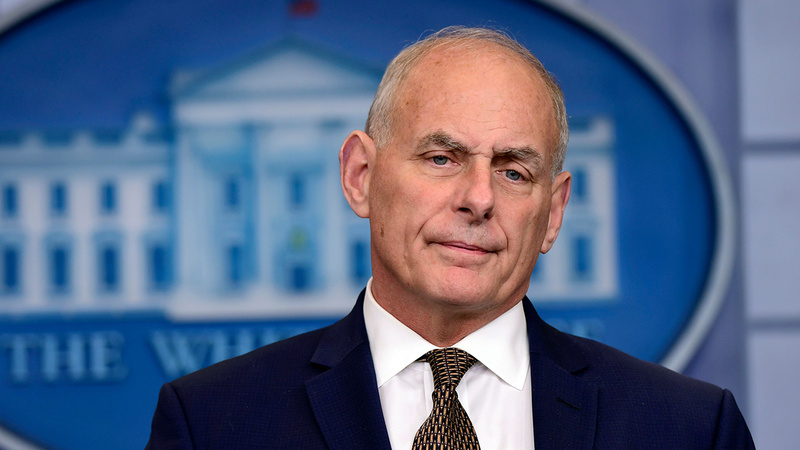 WASHINGTON, D.C. -- White House chief of staff John Kelly says Confederate General Robert E. Lee was "an honorable man" and applying current thinking on social issues to figures in history is "very, very dangerous." Kelly also said in an interview with Fox News host Laura Ingraham that aired Monday night that the removal of monuments to the Confederacy shows "a lack of appreciation of history." The retired Marine Corps general was responding to a question about a Virginia church's decision to remove historical markers for Lee and George Washington. Kelly said the Civil War was sparked by "the lack of the ability to compromise." His remarks sparked an immediate outcry on Twitter. Friendly reminder that the South lost the Civil War. And not for nothing but the chief of staff for US President just said the Civil War was abt a lack of compromise & traitors were good folk..